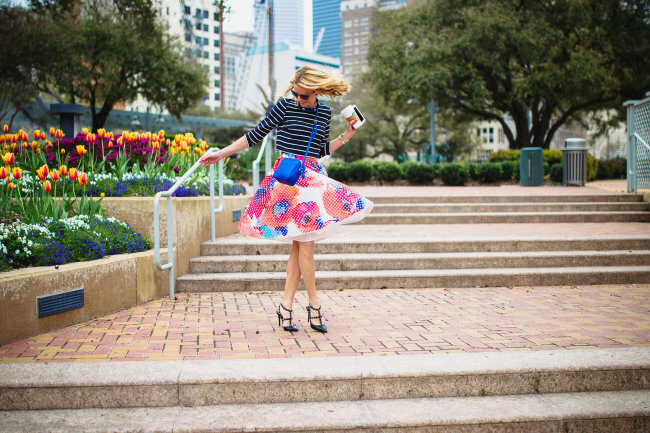 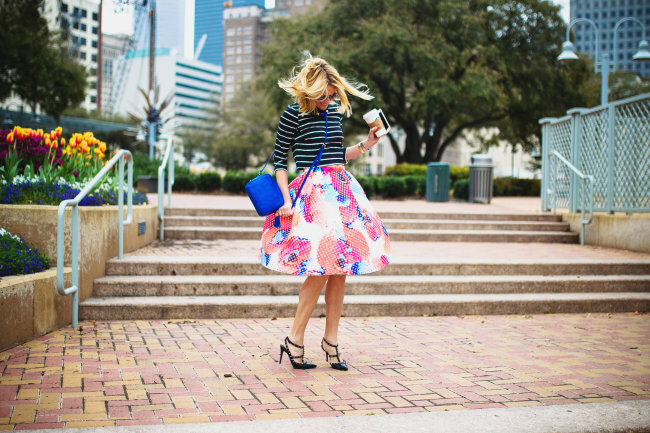 Spring is finally in the air, flowers in bloom and I’m twirling for this bold floral print skirt. 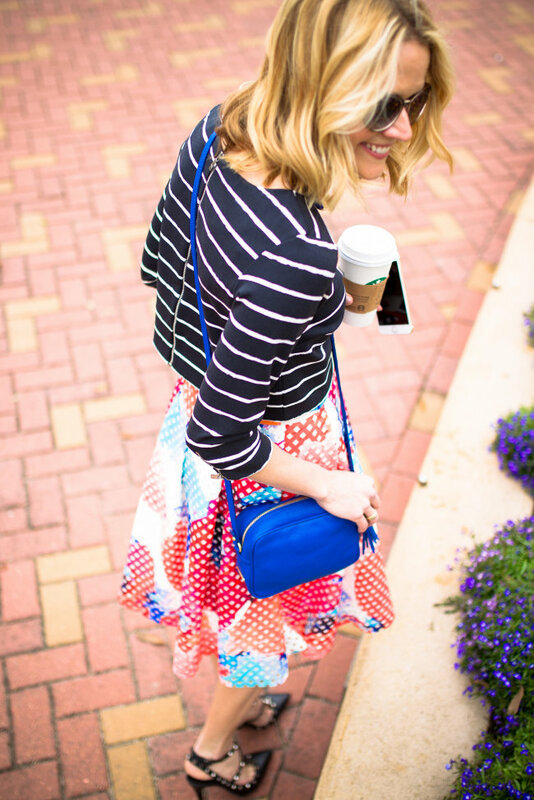 I love mixing prints a striped crop top in a contrasting color fits the bill. 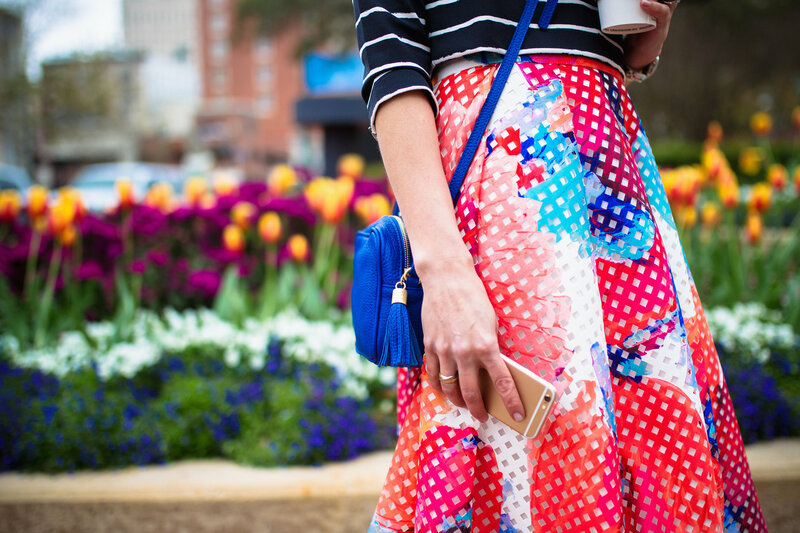 When the weather heats up, I’m pairing my floral gem with a graphic tee and gladiator sandals. Good day, SUNSHINE!